Lulu the French Bulldog was being anti social towards people — Havers Dog Behaviour. What is a dog supposed to do? I ask people this question all the time and, as you would expect I get many different answers as everyone has a slightly different opinion. The thing is, no one ever stops to think your dog is also asking exactly the same question. when you put your dog into a situation, your dog is asking you, what am I supposed to do? Or to rephrase the question slightly, what do you want me to do? Now, here is the thing. What if we don’t know our dog is asking us a question? It is impossible to answer isn’t it so we leave our dog to decide for themselves and will be a decision usually based on self preservation and this probably means either a noise, a bark or a growl and possibly a lunge. Whichever behaviour is decided upon, it is probably one we don’t want so we tell the dog off. How is that fair? Why are we telling our dog off for making a decision because we ignored their request for help? Do we really believe that our dog will always know what to do or at least they should know what to do in any given situation? Lulu is a three year old French Bulldog and is lovely. The problem with being lovely and small and cute is you attract a lot of attention from people. As I have never been lovely, small or cute I can only wonder what this feels like but on with the blog. Imaging just how lovely and cute Lulu was at 15 weeks old when she was venturing out into the world on her first walks, just imaging how much attention she got! Everyone would stop and speak to her and stroke her because they just couldn’t help themselves and found it impossible to resist because she was so cute. No one ever stopped to think how Lulu might feel about this. As a puppy, should she have been exposed to anyone and everyone or should she have been feeling more protected and looked after? The problem with socialisation is the way it is interpreted. Many people interpret socialisation as getting your puppy to meet as many dogs and people as possible as soon as possible as this will make them more tolerant and better behaved. 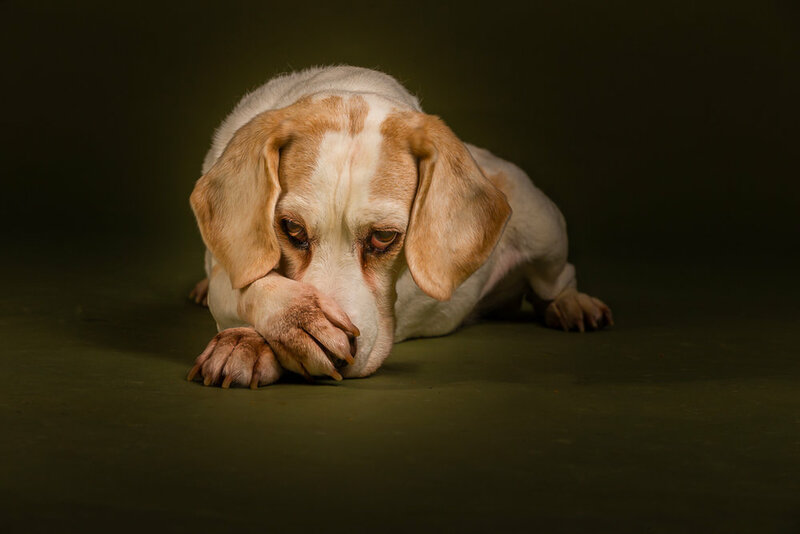 Would you revise that understanding if your dog felt abandoned, worried and uncertain about how to behave and it was far to young to be making those sort of decisions? With Lulu this was probably what happened, she resented the constant barrage of attention and because no one did anything about it, let alone stopped the people bombarding her, she felt she had no option but to take on that responsibility herself so she started to growl and lunge. This certainly worked because people soon backed off and her owners gave her a lot of attention for doing it so she finally had a behaviour that controlled people and, in her mind, her owners wholeheartedly approved, judging by their reaction! French Bulldogs can be wary of people, whether that is a breed trait or as a result of attention bombardment from a young age I am not sure, it is probably a combination of the two. It is very easy to prove to your dog that people can’t be trusted to respect their space and you allow anyone to invade your dogs space. To regain that trust is a process that requires change, change in your behaviour and change in our dogs behaviour. We took Lulu out for a walk and we encountered people and other dogs, Lulu was more relaxed because her owners were and we kept her away from people so they couldn’t get to Lulu and force their attentions upon her. She enjoyed the walk, she didn’t pull as much and was more content and less stressed. Our work will continue with our group dog behaviour walks.